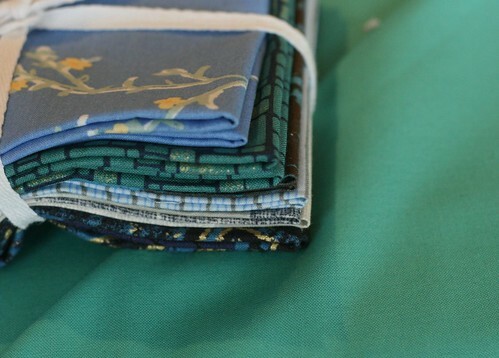 I'm picking out fabric for a new, very simple Getting Started/Weekend Project and I thought we could take a look at fat quarter packs. 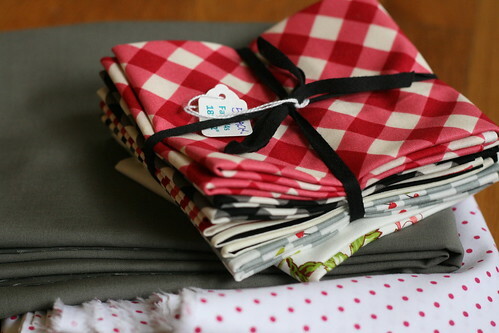 For this project (it's a picnic throw/table cloth) I will need at least 6 fat quarters and a 1 1/2 yards of coordinating solids for the top and 3 yards of fabric for the backing. I was angling for summer-ish options, but there were plenty of subdued options as well. I ended up going with the red, white and grey pile (the polkadots are for my backing). 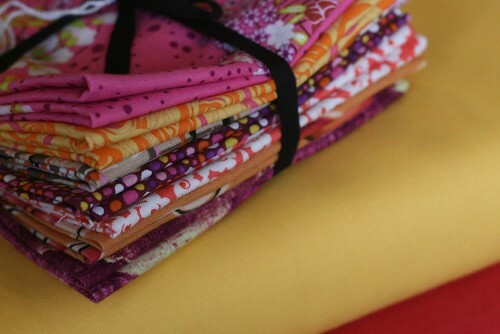 Fat quarter packs are a great way to get inspired to try something different or experiment with color. I may be drawn to a certain palette or groupings of prints that I would have never looked at before. There are premade stacks or loads of single quarters to make your own. 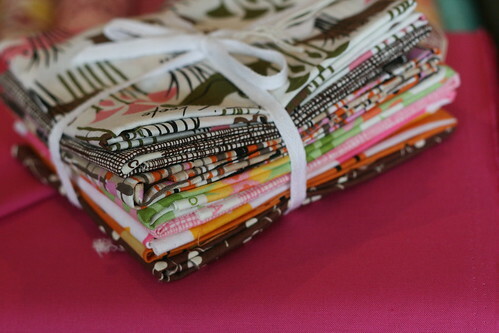 Amy just put together some shot cotton bundles that are going to fly out of here!